Populism is dynamically and unexpectedly back on the agenda. Latin American governments that dismiss the so-called ‘Washington consensus’ and extreme right-wing parties and movements in Europe advancing xenophobic and racist stereotypes exemplify this trend. At the same time, emerging social movements that resist the current administration of the global financial crisis (from the ‘Indignants’ in Spain and Greece to ‘Occupy Wall Street’) and the Tea Party movement in the US have also been branded ‘populist’. Apart from offering a comparative mapping of the populist discourse articulated by such sources, the POPULISMUS research project purports to reassess the category of ‘populism’ and to develop a theoretical approach capable of reorienting the empirical analysis of populist ideologies in the global environment of the 21st century. It thus aims at illuminating dimensions neglected in our current understanding of populism and at resolving tensions marking existing interpretations of the phenomenon. 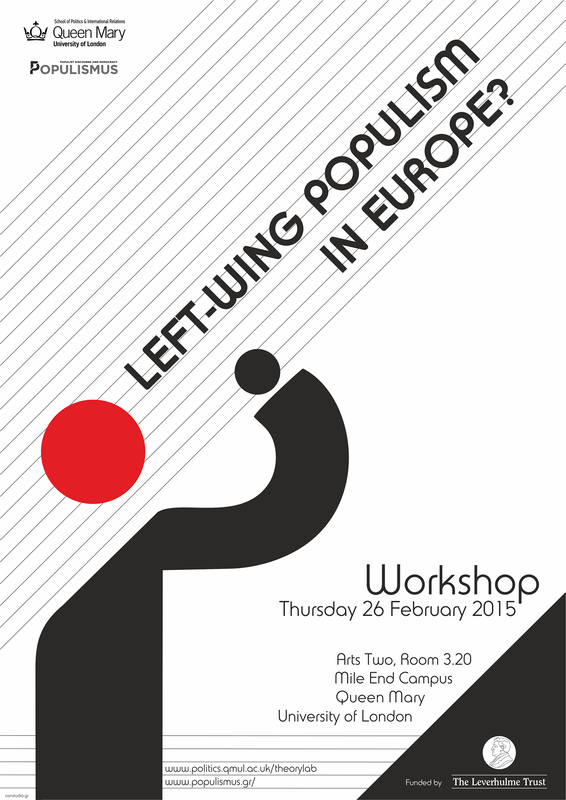 Building on the theoretical basis offered by the discourse theory developed by the so-called ‘Essex School’, POPULISMUS adopts a discursive methodological framework in order to explore the multiple expressions of populist politics, to highlight the need to study the emerging cleavage between populism and anti-populism and to assess the effects this has on the quality of democracy. Through the dissemination of its research findings we anticipate that the synthetic analysis of populist discourse it puts forward and the emerging evaluation of populism’s complex and often ambivalent relationship with democracy will advance the relevant scientific knowledge, also enabling the deepening of democratic culture in times of crisis.